Idyllic beaches, warm weather, rich history, spectacular mountain scenery and bargain prices; it sounds like an impossible wish list for a European destination. Yet Albania fulfils all of these criteria and more besides. 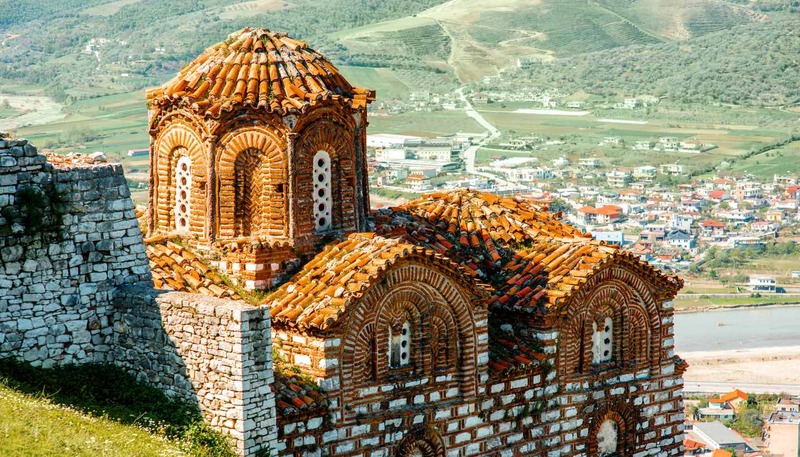 Over the past quarter of a century, this Balkan land has gradually emerged from its austere communist cocoon and savvy travellers have been taking note. The capital, Tirana, is a curious and cosmopolitan place. Its countless communist-era apartment blocks have been enlivened with licks of brash, bright paint, and in parts of the city these sit shoulder-to-shoulder with Ottoman and Italian architecture. It is haphazard and disorderly, but wildly alive, with the constant whir of traffic and cacophony of voices adding to the buzz. Leading down to the Greek border is Albania’s greatest asset: the Adriatic coastline (touted as the “Albanian Riviera”). It would be disingenuous to call it undiscovered; the beaches here draw significant sunbathing crowds during July and August. Even so, these heavenly stretches are fresh to foreign tourists, and among the best in the Med. If you can tear yourself off the towel, there are also interesting remnants of Greek, Ottoman and communist history to be explored in nearby towns. Of particular note are the now deteriorated and occasionally repurposed domed bunkers, paranoid follies ordered by the isolationist ex-ruler Enver Hoxha. Further inland, stony hiking trails weave among the lunar, sun-bleached mountains, where remote rural villages offer up a warm welcome to any inquisitive visitors. With unpaved, pot hole-strewn roads and unreliable bus routes, just getting to the country’s interior can be an adventure in itself. But when the logistics of travel prove taxing, there’s always the dangling carrot of lovingly-prepared meals, tasty wine and ever-hospitable locals to spur you onward. With its winning combination of sandy beaches, engaging history and affordable prices, Albania's once-unsung charms are now being shouted from the garishly-coloured rooftops. 28,748 sq km (11,100 sq miles). President Ilir Meta since 2017. Prime Minister Edi Rama since 2013. Over 80,000 British nationals visit Albania every year. Most visits are trouble-free. From December to February severe weather may cause flooding, particularly in northern Albania. Heavy snowfall in mountainous areas can lead to disruption to transport and services. Monitor local and international media for the latest information. Public security is generally good, particularly in Tirana. Crime and violence does occur in some areas, but is not typically targeted at foreigners. Gun ownership is widespread. When visiting hill towns on the northern border with Kosovo, you should exercise caution and heed warning signs about unexploded landmines and other unexploded ordnance. Terrorist attacks in Albania can’t be ruled out. Public security is generally good, particularly in Tirana, and Albanians are very hospitable to visitors. Crime and violence does occur in some areas, but reports of crime specifically targeting foreigners are rare. There have been occasional shootings and small explosions, but these appear to be related to internal disputes over criminal, business or political interests. In December 2009 Albania officially declared it had met its ‘Ottawa Convention Article 5’ obligations and had reached mine-free status. However, when visiting hill towns on the northern border with Kosovo you should take care, particularly if hiking and follow the signs warning about unexploded landmines and other unexploded ordnance. Demining is ongoing on the Kosovo side. You can drive in Albania with a valid UK driving licence for up to one year. You can also drive in Albania with an International Driving Permit (IDP). You can only get IDPs over the counter from 2,500 UK Post Offices. You will not be able to buy an IDP outside the UK, so get one before you travel. If you stay longer than one year, or live in Albania, you will need to apply for an Albanian driving licence. Driving can be very hazardous. Roads are poor, especially in rural areas. Street lighting in urban areas is subject to power cuts. Elsewhere, even on the major inter-urban arterial routes, there is no street lighting. If you are travelling at night, watch out for unmarked road works, potholes and unlit vehicles. Four-wheel drive vehicles are often more practical on rural and minor roads. Albanian driving can often be aggressive and erratic. Deaths from road traffic accidents are amongst the highest in Europe. Police have taken some measures to decrease the number of accidents. Minor traffic disputes can quickly escalate, especially as some motorists could be armed. Avoid reacting to provocative behaviour by other road users. If you are involved in a traffic accident, even a minor one, you are supposed to wait until the police arrive. This will usually happen quickly in built-up areas. If you are intending to import a vehicle into Albania, make sure you have all the necessary papers on arrival at the border. Consult the Albanian Embassy in London before you leave. The British Embassy will be unable to help anyone attempting to bring a vehicle into Albania without the correct paperwork. A list of incidents and accidents can be found on the website of the Aviation Safety network. In 2014 the International Civil Aviation Organisation carried out an audit of the level of implementation of the critical elements of safely oversight in Albania. There are some local press reports that jet skis and boats being rented along the coasts may lack adequate safety precautions and equipment. The Albanian National Environment Agency reported in 2016 that 83% of beaches in Albania are of a very good or good standard but the report raised concerns over a small number of beaches including beaches in Durres, Vlore and Saranda which are polluted as a result of inadequate sewage disposal and treatment. Opposition parties have recently held large demonstrations in central Tirana and announced that weekly protests will take place outside Parliament. Demonstrations could occur outside other public buildings. Subsequent large-scale protests are possible. Demonstrations may also take place outside the capital. You should check local media for the latest information, remain vigilant and avoid any demonstrations. Tension between religious groups and expression of extremist views is very rare, and attitudes to western countries are overwhelmingly positive. Terrorist attacks in Albania can’t be ruled out. Attacks could be indiscriminate, including places visited by foreigners. Terrorists may target religious sites, including churches. English is not widely spoken but it is increasingly spoken by younger people. Homosexuality is decriminalised. Anti-discrimination and anti hate-crime legislation is in place. Tirana has several gay-friendly bars and a number of LGBT support groups. See our information and advice page for the LGBT community before you travel. Penalties for drug-related crimes are severe. The Albanian authorities do not always inform the British Embassy when British nationals have been arrested. If you are detained, you may insist on your right to contact a British consular officer. British citizens can enter and remain in Albania for a maximum of 90 days in every 6-month period without a visa. The Albanian authorities require anyone staying longer than 90 days to apply at a local police station for a residence permit. Your passport should be valid for a minimum period of 3 months from the date of entry into Albania. UK Emergency Travel Documents are accepted for entry, airside transit and exit from Albania. Medical and dental facilities (including those for accident and emergency use) are very poor, particularly outside Tirana. Make sure you have adequate travel health insurance and accessible funds to cover the cost of any medical treatment abroad, evacuation by air ambulance and repatriation. The tap water in Albania may cause illness - you should drink only bottled water. If you drink milk, make sure it is UHT (pasteurised). If you need emergency medical assistance during your trip, dial 127 or 04 2222 235 and ask for an ambulance. You should contact your insurance/medical assistance company promptly if you are referred to a medical facility for treatment. Albania lies in a seismically-active zone, and tremors are common. Serious earthquakes are less frequent but do occur. To learn more about what to do before, during and after an earthquake, see this advice from the US Federal Emergency Management Agency. Major credit and debit cards are accepted in most banks, large supermarkets and international hotels. Smaller businesses and taxis often only accept cash. There are numerous ATMs in Tirana and the main towns, as well as bureaux de change where Sterling, US Dollars and Euros are widely accepted. Although street money-changers operate openly, they do so illegally. Only use banks or established bureaux de change. There have been some cases of credit card fraud.